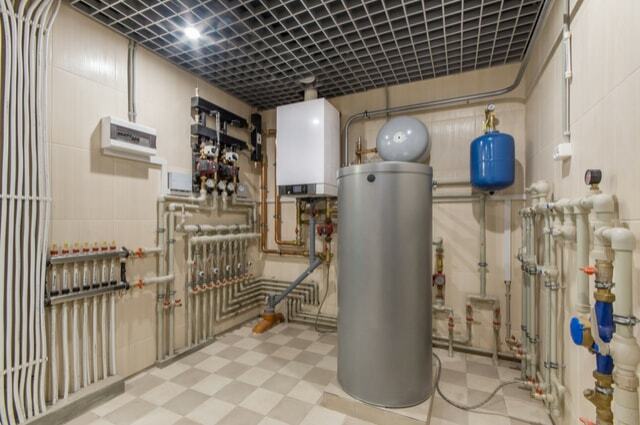 What is Commercial Boiler Maintenance? Commercial boiler maintenance is the regular servicing of boilers on a regular basis in a proactive manner to assist reduces downtime. When the interior of a boiler is afflicted by deposit accumulations of corrosion, wear and tear the energy usage gets to increase intensely. Commercial boiler maintenance likely entails ensuring the electrical connections are safe, the boiler does not overheat and the boilers are also functioning properly. It also involves there are no hairline fractures in the ceramic retainers and the rods are properly spaced. There are many benefits that are a result of regularly servicing your commercial boilers. Contacting ST Heating Services LTD to have your commercial boilers maintained would have many benefits. There are many benefits that would consequently come along with choosing ST heating Services LTD to maintain any type of heating system. Safety Generally – Obviously, safety is the main benefit of consistent maintenance of commercial boilers. Incorrectly fitted boilers that are defective, likely result in serious problems that can affect the health of the person using it. Gas leaks are not common in circumstances where boilers are regularly maintained. However, one issue that is caused by damaged boilers is the production of carbon monoxide, which is a killer gas. The gas is mostly emitted by faulty boilers but can be prevented by scheduled maintenance and the environment from pollution. Extend boiler life – The many times that you service your boilers reduce chances of breakdowns accordingly prolonging its life. Nearly all types of mechanical gear are subject to wear and tear. By keeping them running smoothly helps it function in a more efficient manner, thus reducing wear and tear and helping it to last longer. This saves you the money of untimely replacements. Energy efficiency – Preventive maintenance of commercial boilers is a great way of certifying that they use energy in the most effective manner to avoid high heating bills. Worn out or faulty parts are replaced in order to Improve the efficiency and reduce the consumption of energy. To stay in line with the law – It is a legal obligation that commercial boilers should be checked annually to ensure safety. Failing to comply with the maintenance check laws result in serious trouble with the law leading to fines. It is then crucial to ensure the boilers go through maintenance checks regularly. Boiler cover claims – Insurance companies require that commercial boiler services have few records that show they undergo frequent scheduled and corrective maintenance. The lack of detailed boiler records may result in not being given a boiler insurance cover. Having a long experience in repairing and maintaining boilers, ST heating Services LTD offers high-quality services throughout North West of UK. The company has qualified engineers who are registered by the government, offering customers services at quite affordable rates with quality standards.